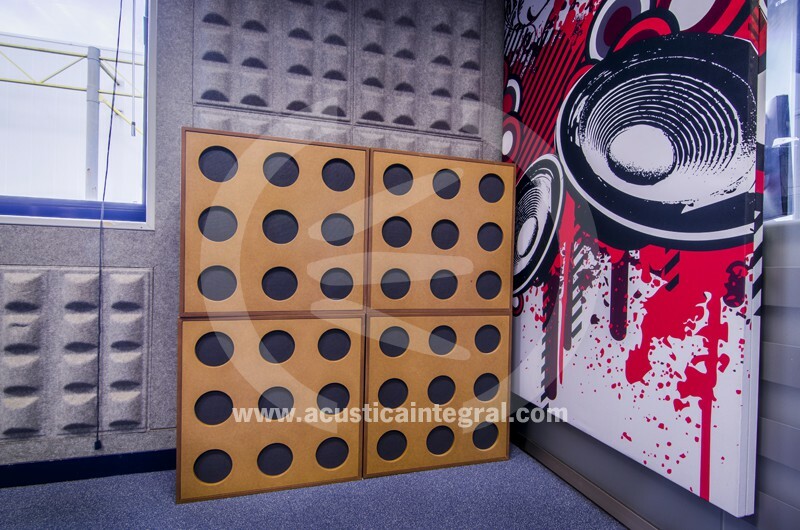 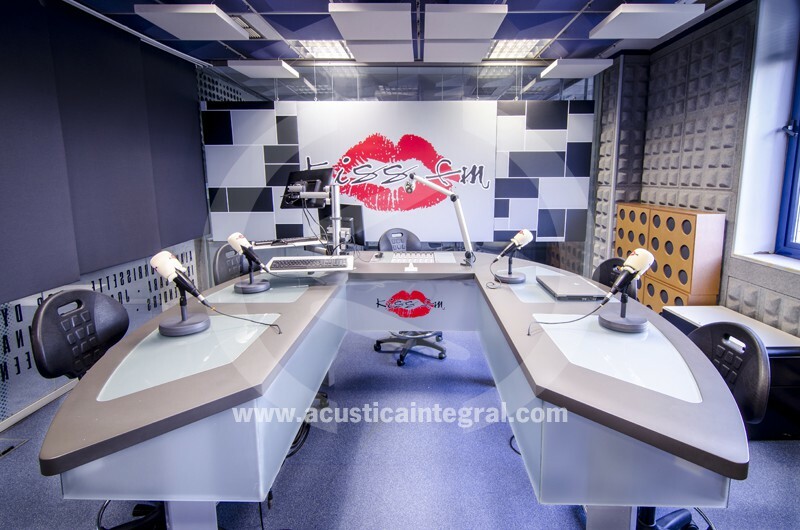 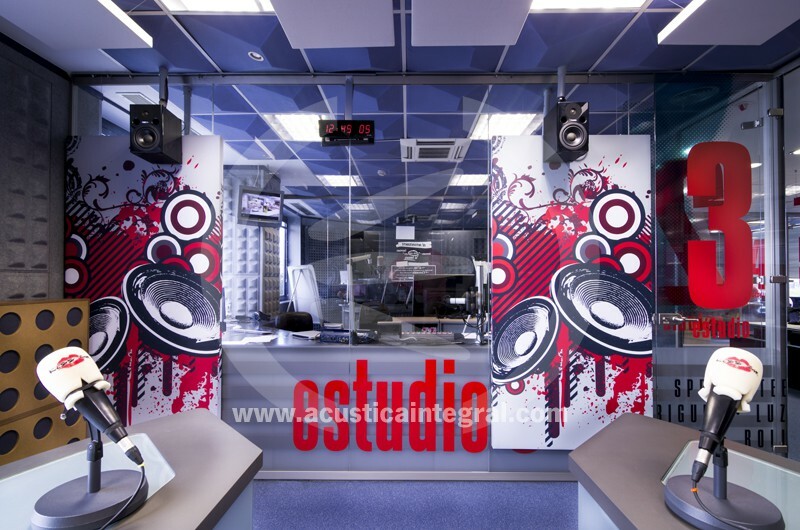 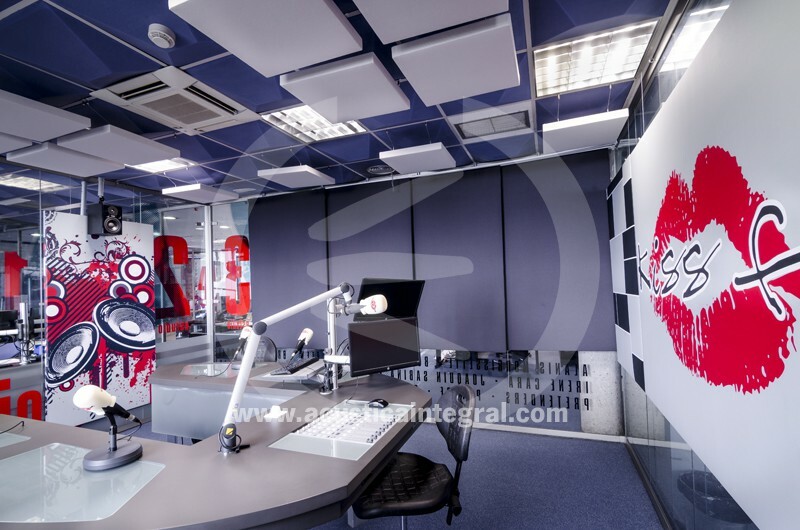 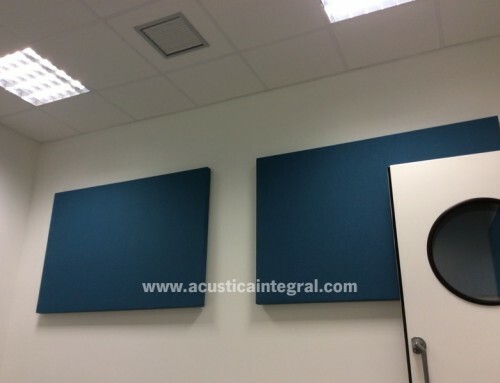 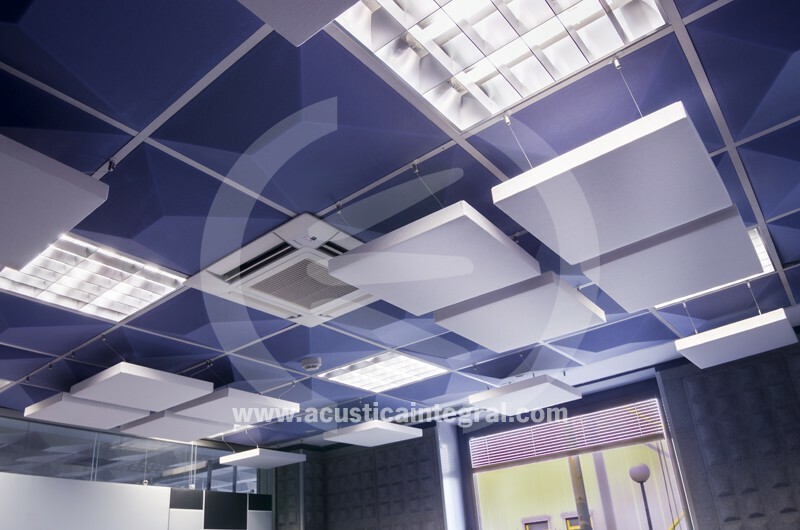 Acústica Integral made absorbent improving treatment for a radio studio. 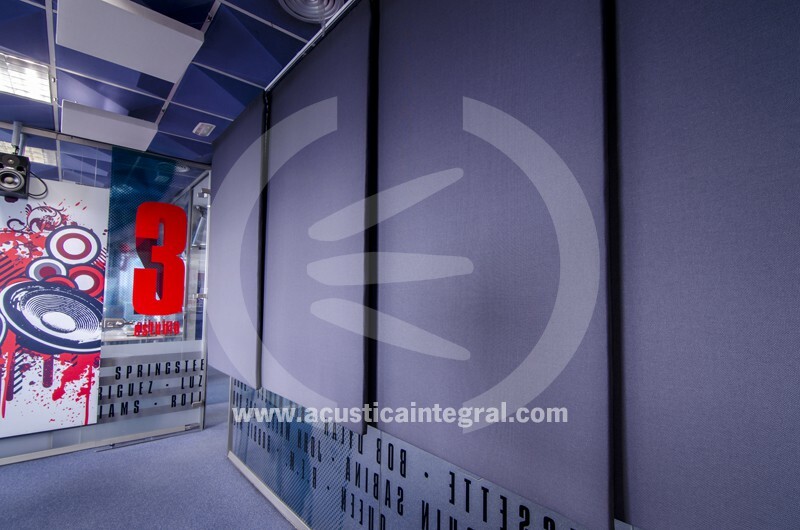 The initial treatment was insufficient to current quality standards, plus an update of the corporate image of the study was required. 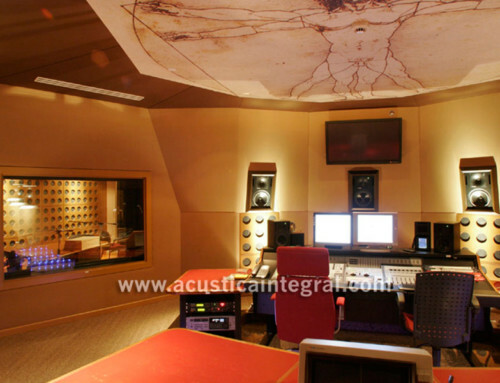 The existing roof has been strengthened through Acustiart type elements. 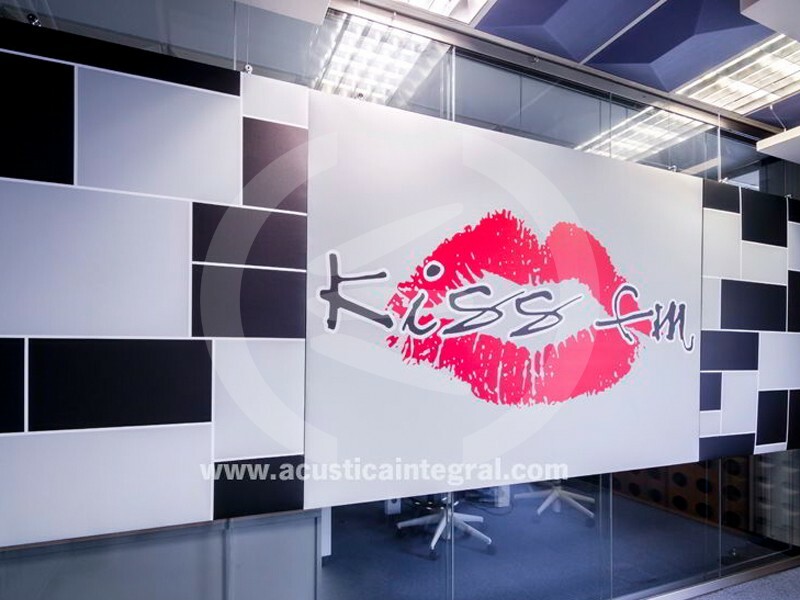 The glass walls of the study were treated by Acustiart Digital printed with motifs designed by the customer and made to measure for the available slots.